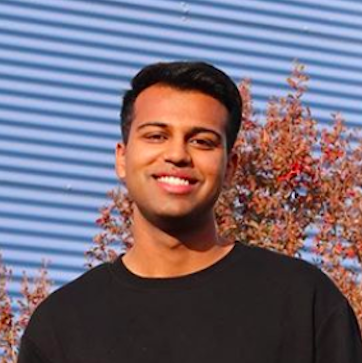 I'm 20 years old and I'm a full-time student living in Yuba City, California. I work as a freelance software engineer to make mobile apps and websites for local businesses. When I was 13, I taught myself how to write simple programs on the computer. Ever since then, I've been making apps, websites, and other digital media. This site is a portfolio of some of the software I've built, both professionally and personally, as well as other creative work I've done. 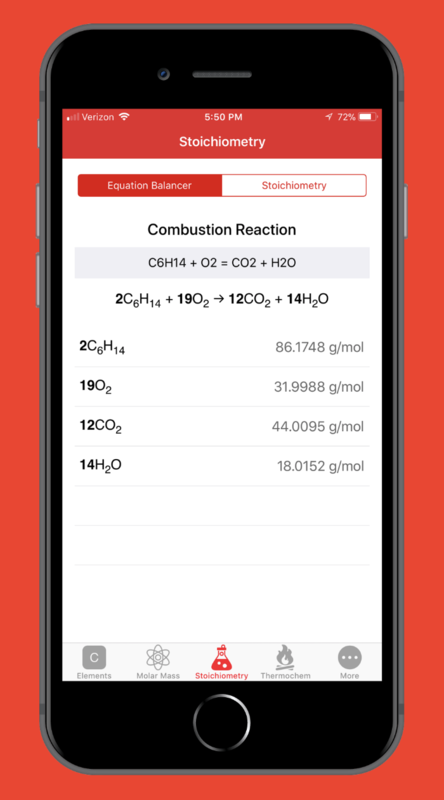 ChemCalc is the first iPhone app that I developed and published in the iOS App Store. It's an all-in-one calculator and reference for general chemistry that I worked on for six months. 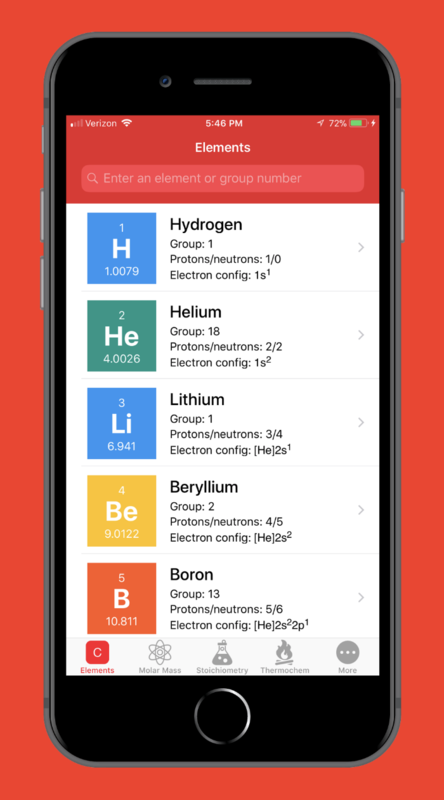 It features a colorful table of elements with extensive element data, molar mass calculator and converter, chemical equation balancer, stoichiometry calculator, and searchable lists of compound formulas, polyatomic ions, and thermodynamic quantities. The central features of ChemCalc are its molar mass calculator and equation balancer. They function not through hard-coded values, but complex algorithms that took constant tweaking and countless trial-and-error tests to perfect. I made this app to make it easier to do the tedious and time-consuming calculations that make chemistry notoriously difficult for beginners. I decided to make ChemCalc free to download so that more high school and college students will overcome their fear of chemistry (like I did) and maybe even explore a career in science. In February 2017, many Northern California cities, including mine, were evacuated due to the threat of the Oroville Dam's damaged spillway flooding the area. 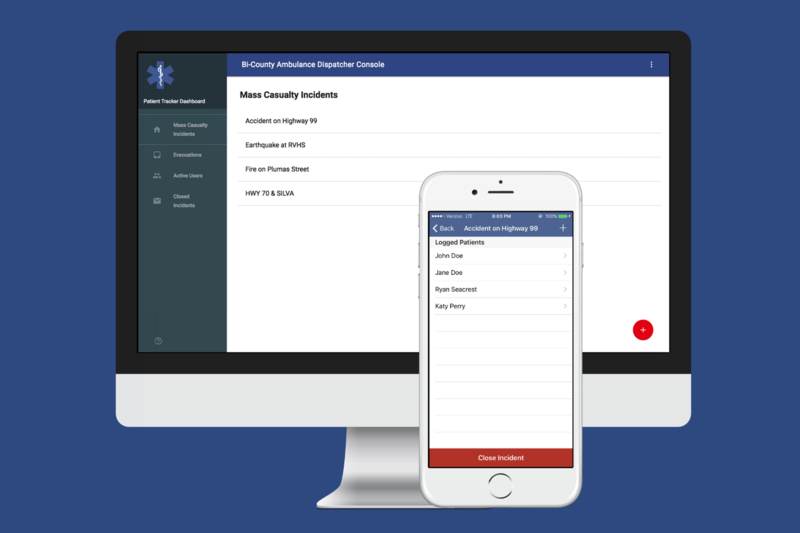 Bi-County Ambulance recruited me to create an app that would allow their EMT's to quickly log patient information and location for a mass casualty incident or future evacuation. In three months, I programmed a multi-platform app that allowed EMT's and paramedics to log in and submit patient information for an incident in realtime, and then archive the records into a spreadsheet once the incident was over. I also designed a new website from scratch for BCA that made their job application submissions and ambulance standby requests completely electronic. While the concept was simple, the opportunity to create software that would make their jobs easier was an invaluable experience. 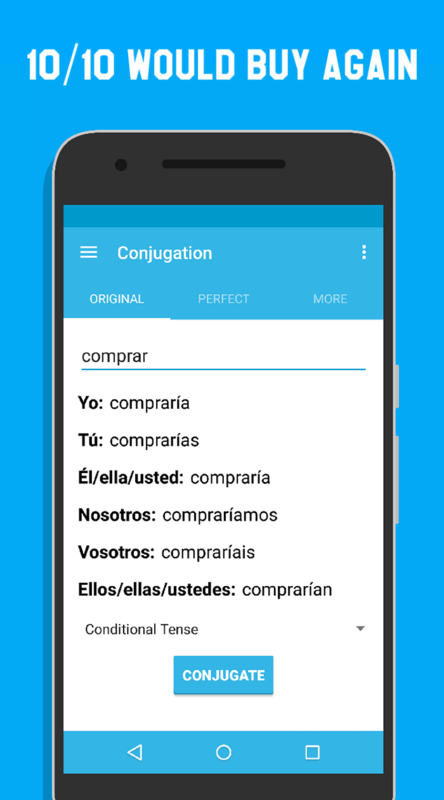 Conjugation is an Android app that I built during my sophomore year of high school. I was taking Spanish 3 and learning countless verbs, tenses, and conjugations for grammar. At the same time, I took an online Android development course and decided to work on an app that wouldn't be as complicated to program, but more productive than a simple 'Hello World'. Eventually, the conjugation algorithm that simply replaced endings got more and more complex and I became obsessed with completing it. 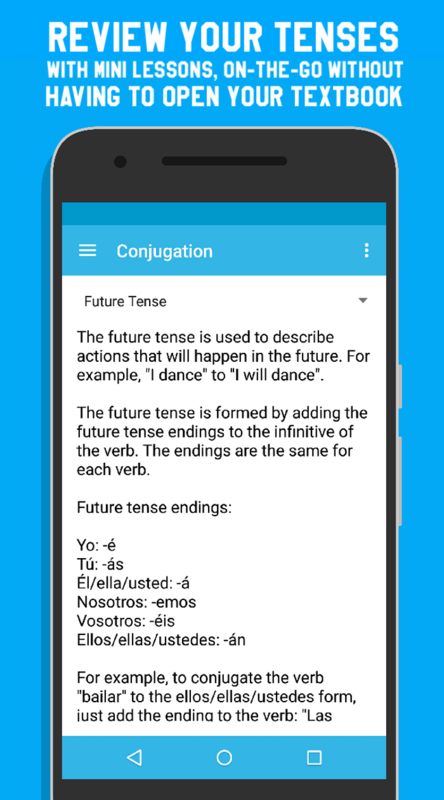 When I finally published Conjugation in the Google Play Store, it was the first app I'd ever released. It gave you conjugations in all six forms in any tense, with verb autocomplete, stem-change handling, translations, and tutorials. I introduced it to my Spanish class first, then Reddit, and after that, it took off. Conjugation is the number one result when you search for "Conjugation" in the Play Store, surpassing 50,000 installs with a 4.5 star rating and hundreds of reviews. 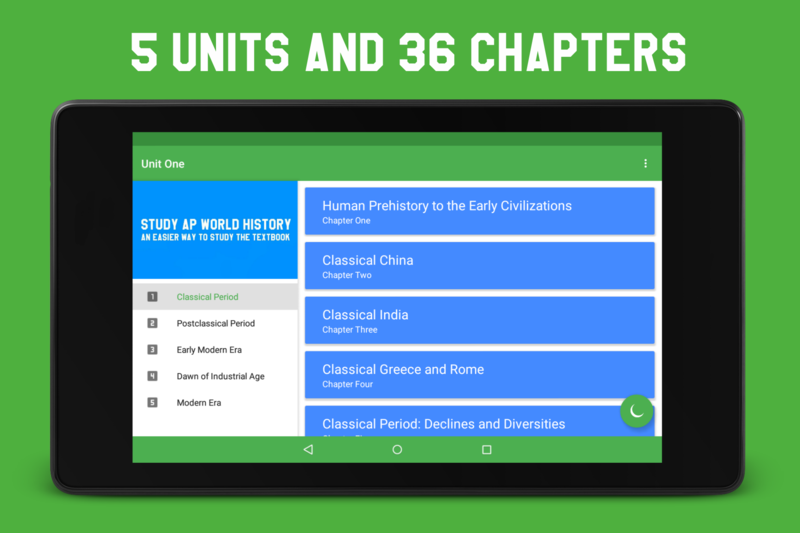 The summer after I took AP World History, the most stressful and time-consuming class I had taken up until then, I decided to compile all the information I had from my notes, resources, and quizzes into an app. The Study AP World History app is essentially that: a compilation of information. I spent more time organizing and formatting summaries, questions, and terms than I spent creating the interface. While Study AP World History isn't very complex in terms of code, by building this app, I learned to design useful user interfaces for various screen sizes (phone and tablet). I also developed a "Night Mode" feature, implemented pay-to-remove-ads for revenue, and made improvements based on user feedback. The app currently has over 40,000 installs and a 4.5 star rating on the Play Store. Need a website or mobile app for your business? Whether it's a smooth and polished iPhone app for your company, or a clean and informative website for your restaurant, I can work with you to create exactly what you want. I'm skilled in both iOS and Android mobile app development as well as HTML/CSS/JS for web development. If you decide to hire me, I can guarantee you a fair price, organized work, and punctual deadlines. Looking for a math/science tutor? I tutor for several math and science classes on the weekends (Saturday and Sunday), including algebra, trig, calculus, chemistry, and physics. I charge $20 an hour. You can find my profile on The Knowledge Roundtable or email me!